Time flies — it’s been more than six years since we lost the legendary Michael Jackson. While the King of Pop is no longer with us, here in Vegas we continue celebrate his life. Whether it’s by listening to his timeless hits on repeat or visiting YouTube to see his creative and dance-heavy music videos, we can never get enough MJ. And if you are a huge fan and haven’t checked out “Michael Jackson ONE by Cirque du Soleil” yet, it’ll give you a greater appreciation for the artist. So much so, you might even practice on your moonwalk, “Smooth Criminal” lean or “hee, hee!” after the show. We all practiced this “Smooth Criminal” lean as kids. Photo courtesy of Cirque du Soleil. This Saturday, Aug. 29 3:30 p.m., the hit Cirque show and the Estate of Michael Jackson celebrate the annual Michael Jackson birthday party inside Mandalay Bay’s Michael Jackson ONE Theatre. This annual celebration is only open for those who purchased show tickets for the Saturday, Aug. 29 performance. Buy your “Michael Jackson ONE” tickets now to be a part of this annual event. 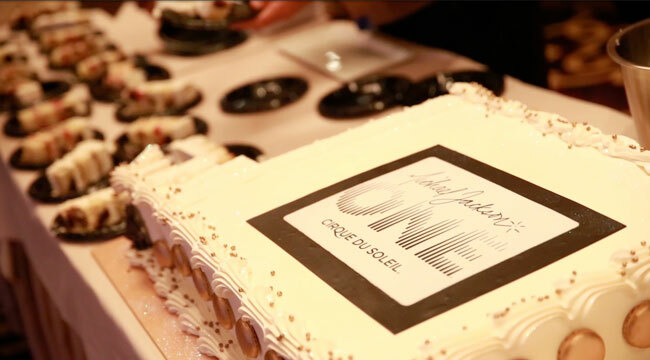 The celebration begins with a book signing with Michael Bush, author of “The King of Style: Dressing Michael Jackson.” After, MJ fans are in for a real treat. There will be a special, one-time only performance of Michael Jackson’s No. 1 hit, “Don’t Stop Til You Get Enough,” a routine that’s not part of the regular show. 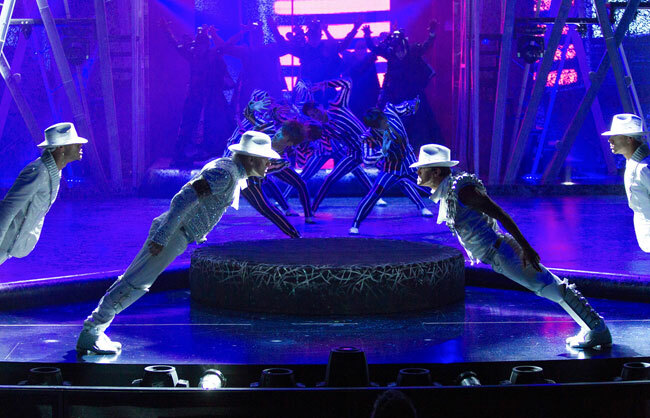 After this unique performance, show goers can catch a preview of “Stranger in Moscow” and “Thriller,” two popular numbers from the show and participate in a Q&A with “Michael Jackson ONE” performers. Can they teach us how to moonwalk? Celebrate the King of Pop on his birthday this Saturday, Aug. 29. Photo courtesy of Cirque du Soleil. Following the Q&A, guests have a meet-and-greet opportunity with the members of the Estate of Michael Jackson team and their guests, including the show’s choreographers. And of course, no birthday party is complete without a birthday cake.